ProLimo is offering you an all-season special for transfers. Will you be spending a few days in Berlin? Would you like to be able to travel comfortably – regardless of the weather – to several destinations? If it is not economical for you to hire a sedan for several hours, feel free to just use ProLimo’s transfer service. An experienced chauffeur will be awaiting you punctually at the agreed location to take you to your destination. In winter time, you will climb into a pleasantly pre-warmed sedan since all our vehicles have an auxiliary heating system. On warm summer days, the vehicle will be cooled down to a pleasant temperature for you. During the ride our free WLAN is available to you in case you want to send some emails or work in peace and quiet. 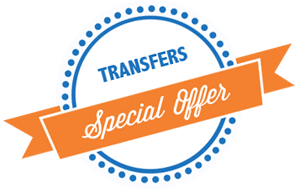 Book our private transfer service and get one or two airport transfers as a free bonus.